Today I'm hosting my first ever Blog swap! I'm really excited to have For The Luv Of Boys today on the Glitter blog! WELCOME AMBROSIA! 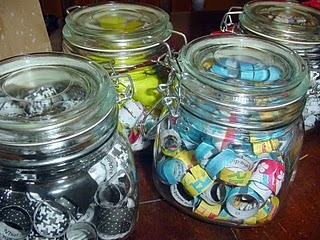 I'm so excited to blog swap with Kelly here at Running With Glitter! What a super cute blog and great tutorials! For those of you that don't know me, I'm Ambrosia. I have two blogs -s and Fabulously Domestic. Why two? Well, I have three sons who totally deserve to have crafts, games and ideas just for them, and I also have a big girly side to me. My kids' sports. Chocolate. Blogging. My faith. Facebook. Coffee. Picnics in the grass. Ruffles. High heels. Sewing. Crafts. Taking pictures of my boys. Cheez-its. My husband. Shopping. Etsy. Pink. Time with my girlfriends. Have you seen those super cute shabby ruffled flowers? I love anything with ruffles or flowers, so of course I adore these! I never would have dreamed how easy they are to make! Here are the SUPER easy instructions. 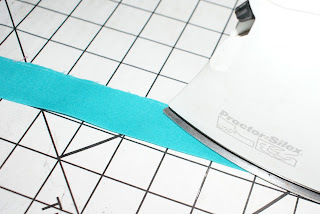 Start off with fabric of your choice and cut into a long strip. I cut mine 32" by 2". This resulted in a flower that was approximately 2" wide when finished. Fold in half lengthwise and iron. If you are using a patterned fabric, or one with a right/wrong side, then fold with wrong sides together. 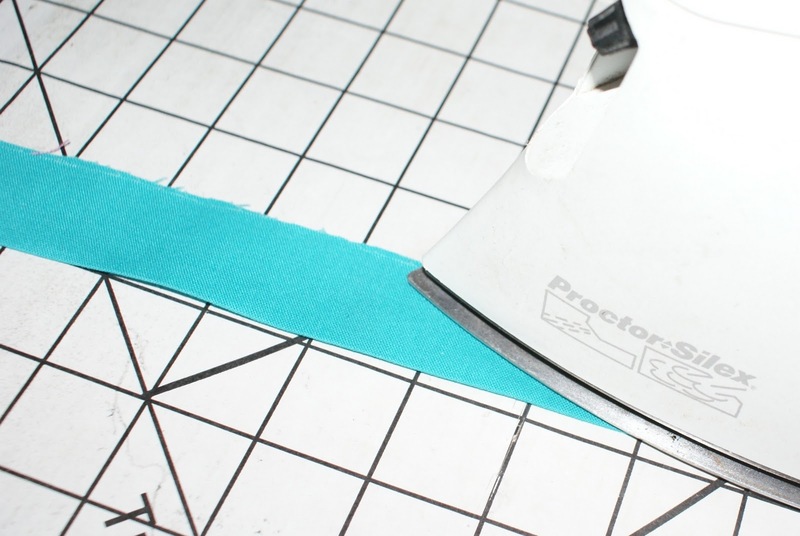 Adjust the tension and stitch length on your sewing machine. Use a long stitch length. I like my tension to be at a 9 - the highest it will go. This results in the tightest ruffle. You can play with the tension to see what you prefer. Now just sew! Can you believe how EASY it is to make ruffles this way?! This is how it looks when you are done machine sewing - a twisted, ruffly mess! Now take that length of fabric and start rolling one end. 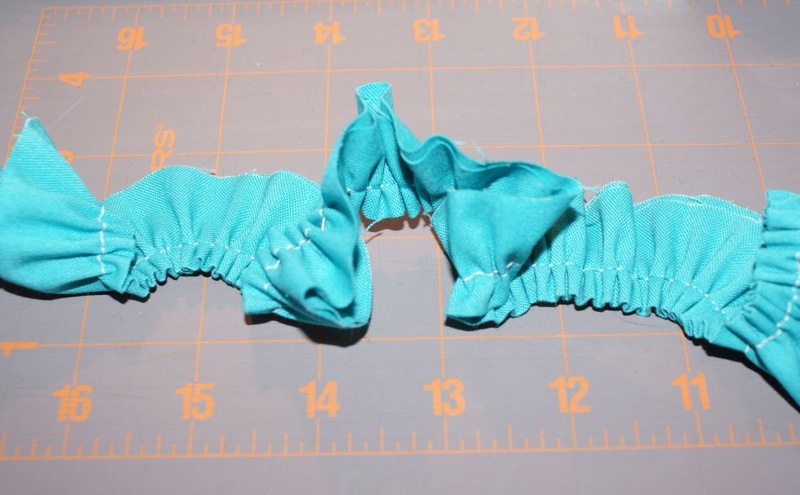 Take a needle and coordinating thread and start stitching the ruffled side. You will want to continue rolling up the fabric like a cinnamon roll. Stitch each new layer several times to hold together. When it's all rolled up and stitched, it will look something like this! Here are two together - I'll be using these on a headband. See how the edges are all shabby and tattered? I think it makes them look cool and casual. This is what the under side looks like. This is where you could add a hair barrette, or maybe a safety pin if you want to add it to a purse, scarf, jacket, etc. If you are going to use these flowers on clothing or pillow, just know that their appearance will change when washed. They will shrink up a little and the frayed edges take on a softer look. Still super cute, just different. I think it'd be best to pre wash and dry the finished flower before permanently adding it to an item that will be laundered later. Thank you so much, Kelly, for allowing me the chance to blog swap with you!